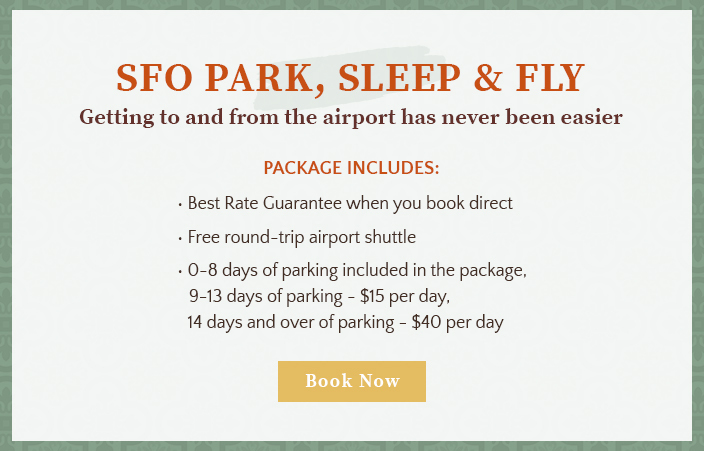 Stay in touch and be the first to know about our best park and fly offers and seasonal San Francisco specials throughout the year. Along with these attractive travel deals, we'll share topical news and tips about the city’s popular tourist attractions from Union Square, Alcatraz Island, and the San Francisco Zoo. We’re committed to understanding your travel interests and accommodation needs. Please take a moment to fill out the form below and allow us to offer you the finest services and packages possible. Thanks for letting us know.